New Delhi, April 16: A major "catastrophe" was averted by a naval aircrew when their Chetak helicopter ditched at Arabian sea last week, the Navy said Tuesday. It said a board of inquiry has been ordered to investigate the cause of the technical failure leading to the loss of the helicopter. The helicopter was part of an Indian naval warship which was deployed in the Arabian sea. 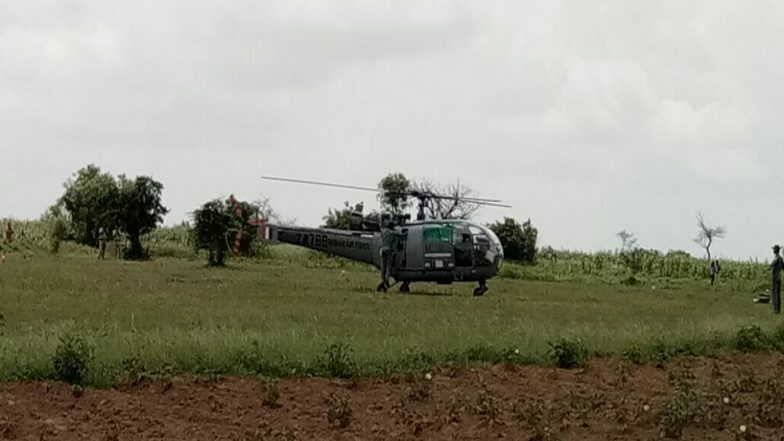 Hyderabad: IAF's CHetak Helicopter Makes Emergency landing In Hakimpet Due To Technical Snag. "As per reports, the helicopter developed technical failure prior to ditching and the crew displayed immense professional prowess and sound training in deftly landing the helicopter in the water and successfully egressing from it," the Navy said. It said all three crew members were safe.